Denon RCD-N10 Ceol and Wharfedale speaker bundle. 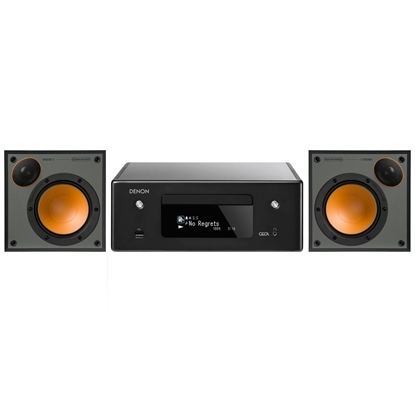 Save £££'s on this compact, all in one Mini system and matching speakers. The Denon RCD-N10 is an amplifier, CD player, Streamer with Bluetooth and Airplay, Digital inputs for your TV, Internet Radio and Amazon Alexa Voice control. Pair this with the compact D310 speaker from Wharfedale and you have a modern, dynamic sounding system. We even give you 2 x 3m of speaker cable so you have everything you need to get up and running. You can even add a turntable to complete your experience!